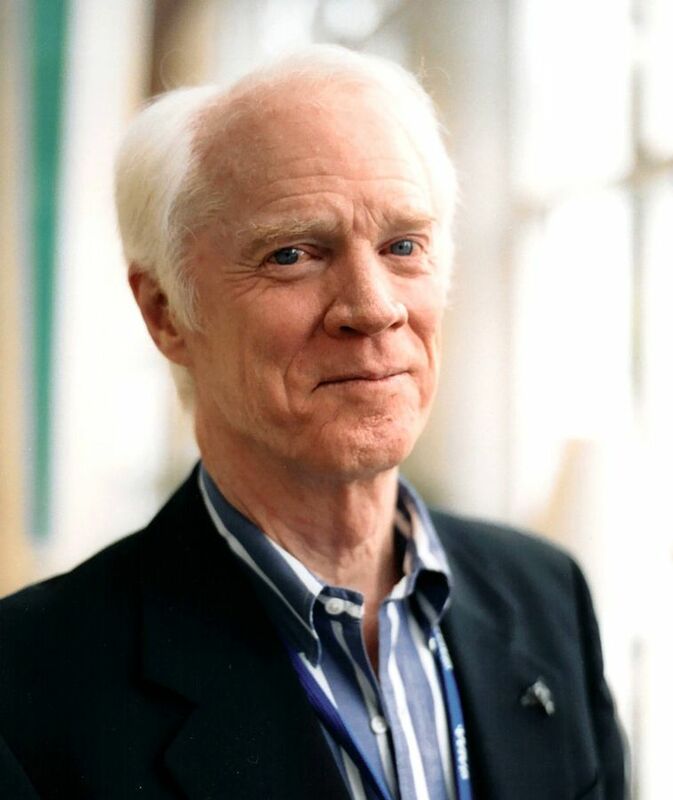 Russell “Rusty” Schweickart named Lifeboat Foundation 2010 Guardian Award winner. November 21, 2010 — The Lifeboat Foundation Guardian Award is annually bestowed upon a respected scientist or public figure who has warned of a future fraught with dangers and encouraged measures to prevent them. Rusty has labored over the last decade with tremendous energy and conviction for the awareness of the world community that, now that we are able to do so, we should coordinate efforts on a global scale to counter potential Near Earth Object (NEO) threats without threatening to cause undue panic. He is pointing the way to a sensible international decision-making framework for that purpose, which combines the realization that there are (at best) only a handful of nations actually capable of undertaking a serious NEO threat response mission with the reality that all states on Earth may present potential targets for such NEO threats and at the same time may look upon some potential NEO threat response missions with quite some suspicion. There are many others in the field who for decades have worked on the issue of detecting and mitigating NEO threats, but, using his status as an Apollo astronaut and his manifold and widespread post-Apollo career achievements, he was essentially the first to address this issue of potential political fallout, which might result in NEOs doing much more damage than they otherwise might. He managed to cajole an originally sceptic, even reluctant Association of Space Explorers (ASE) into installing a Committee on Near-Earth Objects, which he himself then chaired until recently being replaced by Tom Jones, a shuttle astronaut. Rusty then brought in a panel consisting of experts of the highest level from various domains concerned and from around the world, such as a member of the famous Club of Rome, a former President of the UN Security Council, ambassadors and scientists of world fame, to discuss the broader aspects and create a platform for bringing the message to the global decision makers in this area. He next worked tirelessly to brief the representatives of UN member states, heads of the major space agencies, key officials at the UN (Secretary-General, President of the Security Council, President of the General Assembly) and the incoming, then incumbent Obama administration on the issue (not to mention the media). He made sure the issue was taken up by the UN bodies best placed and equipped to start developing an appropriate, balanced and effective international decision-making framework: the UN Committee on Peaceful Uses of Outer Space and its two subcommittees. In 2010, Rusty served as Co-Chair of the NASA Advisory Council Ad-Hoc Task Force on Planetary Defense. Russell L. (Rusty) Schweickart is a retired business and government executive and serves today as Chairman of the Board of the B612 Foundation. This nonprofit private foundation champions the development and testing of a spaceflight concept to protect the Earth from future asteroid impacts. He retired from ALOHA Networks, Inc. in 1998 where he served as President and CEO from 1996 through 1998. ALOHA was a data communications company specializing in high performance, wireless internet access equipment. Rusty was formerly the Executive Vice President of CTA Commercial Systems, Inc. and Director of Low Earth Orbit (LEO) Systems. Rusty led CTA’s efforts in developing the GEMnet system, a second generation LEO communication satellite constellation designed to provide regular commercial electronic messaging services on a global basis. Prior to his CTA work he founded and was president of Courier Satellite Services, Inc., a global satellite communications company which developed LEO satellites to provide worldwide affordable data services. His satellite and telecommunications work involved him in the development of international communications regulations and policies, including participation in the 1992 and 1995 World Radiocommunications Conferences (WRC) of the International Telecommunications Union (ITU). He served at the 1995 WRC as a U.S. delegate. He also worked extensively in Russia and the former Soviet Union on scientific and telecommunications matters. He is the founder and past president of the Association of Space Explorers (ASE), the international professional society of astronauts and cosmonauts. The organization promotes the cooperative exploration and development of space and the use of space technology for human benefit. The ASE has a current membership of over 300 astronauts and cosmonauts from 29 nations. The Association’s first book, The Home Planet, with a preface by Rusty, was published simultaneously in 10 nations in the Fall of 1988 and was an immediate international best seller. In 1987–88, Rusty chaired the United States Antarctic Program Safety Review Panel for the Director of the National Science Foundation (NSF) in Washington, DC. The resulting report, Safety in Antarctica, a comprehensive on-site review of all U.S. activities in Antarctica, led to a restructuring of the program, increasing the safety of operations in that hazardous environment. At the request of the National Science Foundation, he also served on the 1997–1998 United States Antarctic Program Outside Review Panel, which reported to the Whitehouse (OSTP) and Congress on the future of US facilities in Antarctica. The US Amundson-Scott South Pole station has recently been fully rebuilt as a result of this work. In 1977 he joined the staff of Governor Jerry Brown of California, and served in the Governor’s office for two years as his assistant for science and technology. In 1979 Rusty was appointed to the post of Commissioner of Energy for the State of California and served on the Commission for five and a half years. The Commission, which was chaired by Rusty for three and a half years, was responsible for all aspects of energy regulation in the state other than rate setting, including energy demand forecasting, alternative energy development, powerplant siting and energy performance regulation for appliances and buildings. He joined NASA as one of 14 astronauts named in October 1963, the third group of astronauts selected. He served as lunar module pilot for Apollo 9, March 3–13, 1969, logging 241 hours in space. This was the third manned flight of the Apollo series and the first manned flight of the lunar module. During a 46 minute EVA he tested the portable life support backpack which was subsequently used on the lunar surface explorations. On the mission with Rusty were commander James A. McDivitt and command module pilot David R. Scott. Rusty served as backup commander for the first Skylab mission which flew in the Spring of 1973. Following the loss of the thermal shield during the launch of the Skylab vehicle, he assumed responsibility for the development of hardware and procedures associated with erecting the emergency solar shade and deployment of the jammed solar array wing, operations which transformed Skylab from an imminent disaster to a highly successful program. After the Skylab program, Rusty went to NASA Headquarters in Washington, DC as Director of User Affairs in the Office of Applications. In this position he was responsible for transferring NASA technology to the outside world and working with technology users to bring an understanding of their needs into NASA. Prior to joining NASA, he was a research scientist at the Experimental Astronomy Laboratory of the Massachusetts Institute of Technology (MIT). His work at MIT involved research in upper atmospheric physics, star tracking and the stabilization of stellar images. His thesis for a master’s degree at MIT was an experimental validation of theoretical models of stratospheric radiance. Rusty served as a fighter pilot in the U.S. Air Force and the Massachusetts Air National Guard from 1956 to 1963. He has logged over 4,000 hours of flight time, including 3,500 hours in high performance jet aircraft. Rusty was awarded the NASA Distinguished Service Medal (1969) and the Federation Aeronautique Internationale De La Vaux Medal (1970) for his Apollo 9 flight. He also received the National Academy of Television Arts and Sciences Special Trustees Award (Emmy) in 1969 for transmitting the first live TV pictures from space. In 1973 he was awarded the NASA Exceptional Service Medal for his leadership role in the Skylab rescue efforts. He is a Fellow of the American Astronautical Society and the International Academy of Astronautics, and an Associate Fellow of the American Institute of Aeronautics and Astronautics. He is an Honorary Trustee and a Fellow of the California Academy of Sciences. Rusty was born on 25 October 1935 in Neptune, NJ. He is married to Nancy Ramsey of West Hartford, CT. He has seven children and eleven grandchildren. He graduated from Manasquan High School, NJ; received his Bachelor of Science degree in 1956 and his Master of Science degree in 1963, both from the Massachusetts Institute of Technology.